Hard drive capacities have been growing continuously for the past years and now many users don’t think it’s necessary to back up all of their contents. This procedure either seems irrelevant at the particular moment or people are just plain lazy to make an effort and backup their data. It’s quite irrational as there are situations when all you wish for is being smart enough to backup beforehand. For instance, if the disk is reformatted, or if you accidentally delete data and then you need to find out how to recover deleted files from hard disk, what do you do? Especially if the hard drive is the one that’s been in a way better a condition before? Our data is always precious, no matter what kind of data it is so rescuing it from the firm grasp of the unknown, like the abyss of deleted files is something very important and cannot be delayed. The developer MunSoft has come up with a perfect tool for the job: Easy Drive Data Recovery. Why is it perfect and how is it better than the rest? Let’s face the truth, there are many data recovery programs but are all of them safe? Do all of them have the required features? Some of them do, some don’t so it’s always a choice which sometimes there’s no time to make. To save some of your time, read what Easy Drive Data Recovery has to offer and perhaps the choice will suddenly become very clear. This program will help you to recover deleted files from hard disk, or an external hard drive, as well as from memory cards and other devices. Nearly a 100 file formats are supported, giving even better chances of successful recovery. Moreover, damaged storage devices, damaged file systems and even formatting the hard drive is supported! So if anything happens to your storage device but the data is still there, there’s a great chance that it will be recovered anyway, no matter how grave the damage is. Note that now you have even more opportunities to try the program before you buy it. 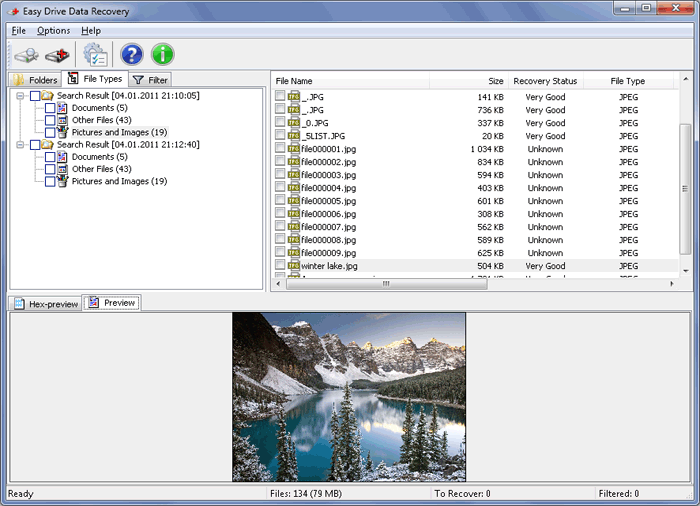 Besides the preview window which shows all the files found, you can even recover one file. So if what you want is to recover deleted files from a hard disk, Easy Drive Data Recovery will be at your side. Download a free copy of Easy Drive Data Recovery from our website! 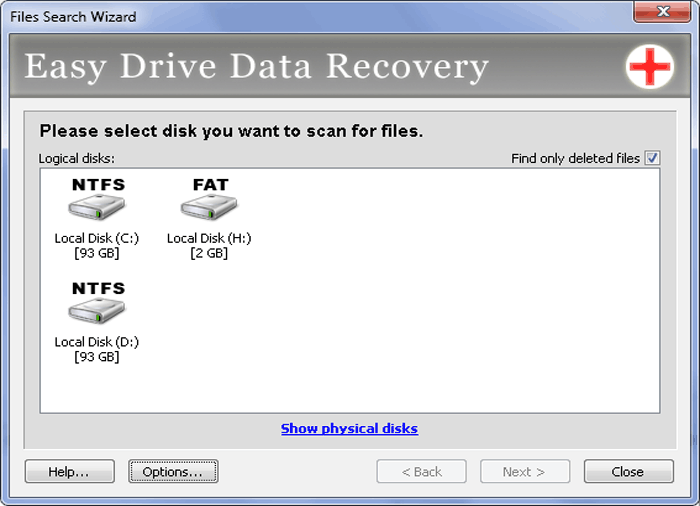 With Easy Drive Data Recovery, this “how to recover deleted files from a hard disk” problem shrinks to a mere nuisance.